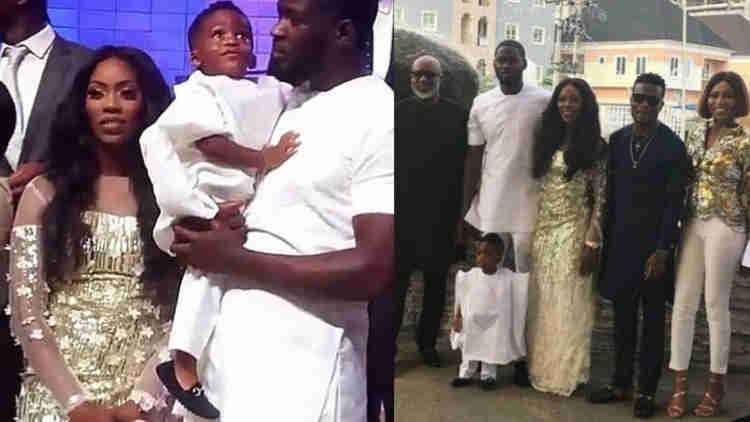 MAVIN records super diva Tiwa Savage and her husband TeeBillz earlier today temporarily put their differences aside to celebrate their son Jamil Balogun. The duo who are reportedly concluding their divorce process, took to their Instagram pages to celebrate Jamil who clocks 3. | Tee Billz wrote: "I see a little more of me in you with each passing year……………😍 To the world you’re JamJam but to mummy and I, You are OLAOLUWAKITAN 😘 "You’re part of my strength. I pray for incomparable wisdom and knowledge of God upon you. You’ve been a great source of happiness to mummy and I. I pray may you never stop making us happy in Jesus name…..❤❤❤"
Not long after Tiwa also posted on Instagram: "Awww you gonna make me tear up o. 3 years ago in that labor room when his heart rate dropped man I never prayed so hard in my life but now our baby is 3. "Today is a beautiful day, my heart is full of praise and thanksgiving ❤🙏🏼"